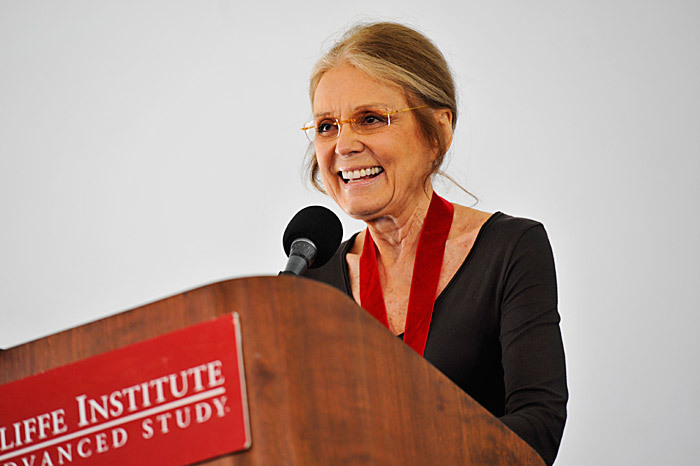 At the annual Radcliffe Day luncheon, Gloria Steinem addresses Radcliffe College alumnae, as well as alumni and alumnae of the Bunting Institute and Radcliffe Institute fellowship programs, and other guests of the Radcliffe Institute for Advanced Study. View the program for this event. Radcliffe Day also included a panel discussion on feminism's past and future.